I will be sending out detailed emails with location details and time slot confirmations the week of the event. Come dressed in your baseball gear of choice or jeans and a tee. Bats, Balls, baseball gloves, t-ball stand, peanuts, cracker jacks & crate. 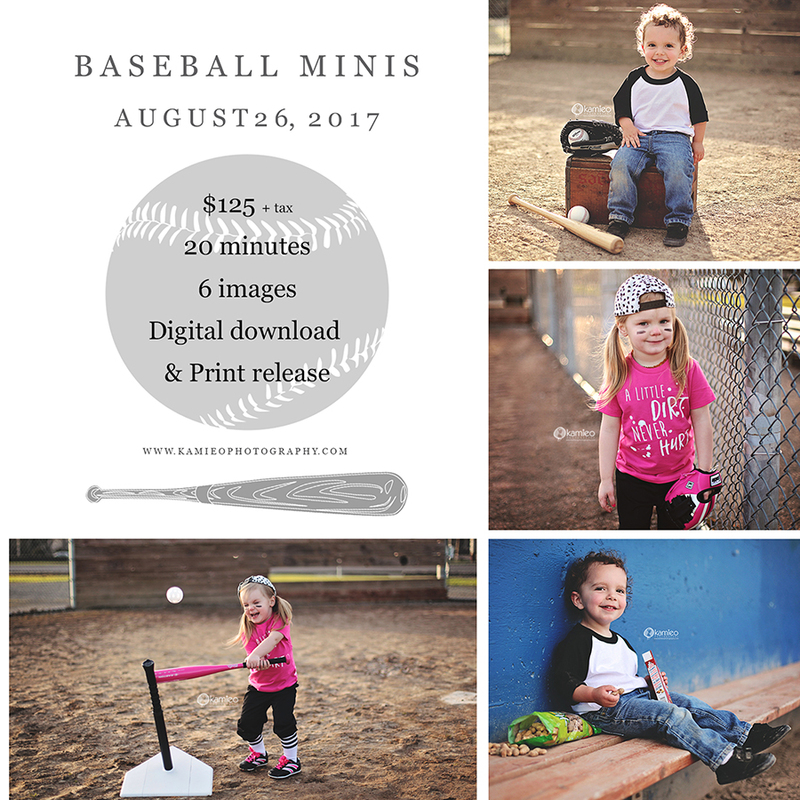 Please email me with the time slot you purchased below with how many people will be in the photos and the ages & and gender of the children. I will update the Appointment list below with a first name when a time slot has been booked.kamieophotography@yahoo.comPlease click on the drop down menu and select a time and click the buy now button.